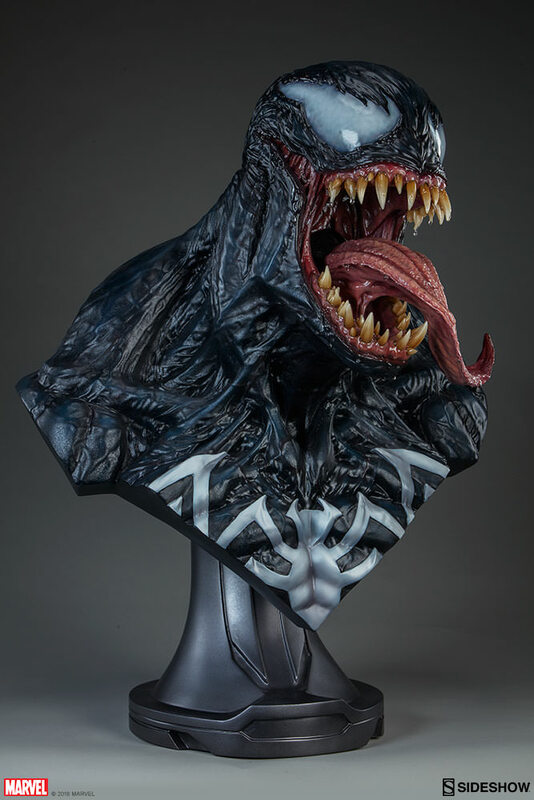 I'm a massive Venom fan, but between the design, the price, and the size, zero interest. Idk, I think it's pretty wicked. The saliva dripping down his teeth is really incredible. Seems as realistic as it could be. I"m a fan of the monster-like Venom design, but something is off about this one, maybe the shape of the eyes? Easy pass for me. Other than the Venom movie, I’ve never cared for the oily/wet Venom look. Yeah, I realize it’s to make him look more organic/alien, but I always go back to the costume originally being Spidey’s, and he originally saw it as an alien programmable version of unstable molecules. One of the reasons I really liked the SM3 venom design. It kept the material look. Lot of people were grumpy about that. With the Venom movie, I was ok with the wet look, coz this was a different version of the character, with no attachment to Spidey, so no need to appear as clothing. Anyway, this bust is a total bust for me. It’s not just the texture. Eyes are wrong, teeth are wrong, spider too small and too silver. Funny how Sideshow either nails a design or completely botches it.